European powers ‘have a political and moral responsibility’ to the Kurds, Aldar Khalil told AFP in a interview in Paris, warning that the Kurds would seek the protection of Syrian President Bashar al-Assad if failed by Europe and the US. 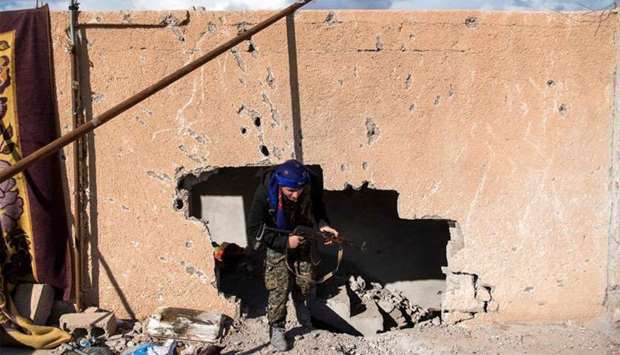 The Kurdish-led Syrian Democratic Forces (SDF) have been leading the fight against the Islamic State group in Syria for the past four years, backed up by air strikes from a US-led coalition of powers. With IS's self-declared caliphate now in ruins, the Kurds fear being left at the mercy of Turkey after the US declares mission accomplished in the final battle for the militants' last holdout. Turkey considers the SDF to be a terror group and is threatening to invade the area under Kurdish control. Khalil appealed to Europe for protection. ‘If they (Europe) don't meet their commitments they are effectively abandoning us,’ Khalil said late on Sunday, calling on France particularly to work at the United Nations for the creation of a buffer zone along the border with Turkey. ‘France can table a proposal to the Security Council on our protection, suggesting an international force between us and the Turks -- of which it would be part -- or to protect our airspace,’ Khalil said. The senior political representative, who played a key role in establishing Syria's semi-autonomous Kurdish region, said that it could be modelled on the UN peacekeeping force deployed along Lebanon's border with Israel. Khalil explained that the Kurds might need to seek protection from Assad unless their Western allies stepped up -- and he spelled out the terms of a possible deal. ‘We will be obliged to agree a deal with the (Syrian) regime so that it deploys its troops along the border and protects us,’ Khalil explained. 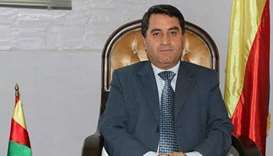 He said that the Kurds would insist on maintaining autonomy and demand that the border troops be Kurdish. ‘They would come under the orders of the Syrian army, but be our units,’ he said. 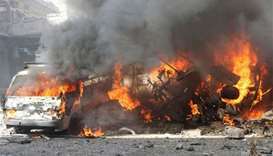 In return, they would offer to give the government a cut of the Kurdish region's oil revenues. 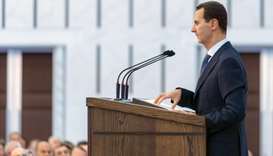 ‘We can also agree to raise the regime's flag,’ he added. Eight years into the conflict that has killed more than 360,000 people, Assad controls nearly two-thirds of the country and is anxious to win back more territory. 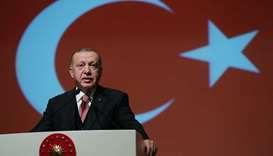 On Sunday, he warned the Kurds that the US would not protect them against Turkey. ‘No one will protect you except your state,’ he said.